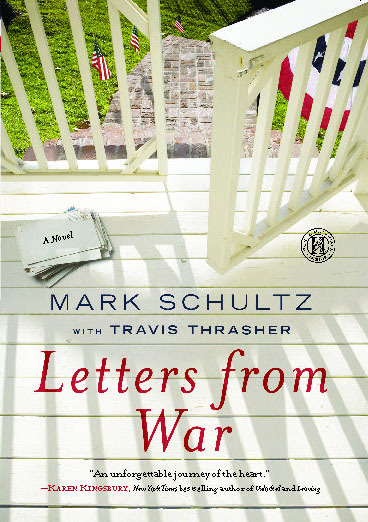 Now in paperback, from platinum-selling singer Mark Schultz comes a novel based on his award-winning song “Letters from Home,” about a mother’s unwavering hope and steadfast prayers for her son to return from war. When Beth Thompson’s only son, James, goes missing in action in Afghanistan, she is left with her prayers, hopes, fears . . . and letters. Mother and son have been writing since boot camp. James writes of his struggle to become a confident soldier and of his concern for his young wife and their unborn child. Beth, like any mom, praises her son’s courage even as she frets for his safety. Even after James disappears, Beth is comforted by a daily ritual of writing him about her feelings, faith, and attempts to maintain a normal life when nothing is really normal but the waiting. Based on platinum-selling singer Mark Schultz’s hit song “Letters from War,” this powerfully emotional and timely story reveals how faith sustains in even the darkest of circumstances. The soldier wrestles to write words he knows will be his last. He searches his heart, trying to find what he wants to say. After so many letters, this one needs to count. This one needs to last. There is no one definitive sentence or theme he needs to write. Yet he wants his family to know that he will always be there, that he will always love them. Just because he is gone doesn’t mean he has left them. There is so much he wants to say. Things to share. About the places he’s seen, the journey he’s been on, the road he’s headed toward. The pride in his heart for serving his country. He knows the world is full of bad places filled with bad men. He remembers his father telling him that. He remembers that was one of the reasons he decided to join the army. Yet even in a world like this, there is hope. Hope is not confined to Tennessee or the United States of America. Hope can be found in the darkest of spots, in the prisons of people’s souls. He thinks of her face and smiles. He loves her and wants the best for her. He can only imagine how many times she’s prayed for his safety, a safety that won’t hold. Maybe God one day will tell her the reasons why. Maybe God will fill her with renewed hope once he’s gone. In a world full of endless rhetoric, he tries to convey a simple and eloquent truth. I’m not writing to say good-bye. I’m writing to make a promise. How did you come to write the song “Letters from War”? When did you first have the idea of using the song as the basis for a novel? My great-grandma had three sons involved in World War II. My great-uncles have always been heroes to me. Several years ago as we were cleaning out her attic, we found the letters they had written her as well as her diary from the 1940s. Several of the entries brought me to tears, and I knew that I wanted to write a song that would honor both my great-grandmother and her sons. What was your involvement in the U.S. Army’s Be Safe—Make It Home campaign? Why was it important for you to be a part of the campaign? The army approached me with the idea of making a video for “Letters from War” so that they could show it in conjunction with their Be Safe—Make It Home campaign for the soldiers in Iraq and Afghanistan. It was an amazing experience, and it has also allowed us to perform at the Pentagon as well as at several army bases around the country. Those concerts have been some of the most memorable of my career. 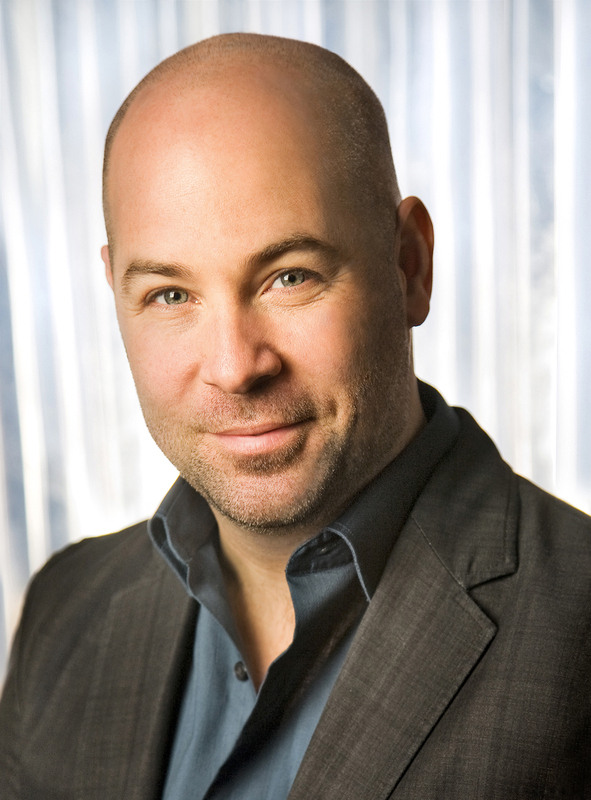 What can you tell us about collaborating with Travis Thrasher to write Letters from War? What are some of the differences between writing a novel and writing a song? 30,000. But I think that writing this story has made me a better songwriter as well. Early on in Letters from War, Beth and her family gather to remember James on Memorial Day. Do you hope that the novel will inspire the public to honor our soldiers—and to keep them in their thoughts and prayers—more than one day of the year? Yes, I hope so. What I think this book does is connect you with the life of a military family in a way that lets readers experience it firsthand. I would hope that people look at these characters as real people because they are our neighbors, the ones who are dealing with these difficulties every day. Your debut album, Mark Schultz, was a hit with Christian music fans as well as with those of pop and country. Do you believe that Letters from War also holds a similar crossover appeal for different audiences of readers? How so? I have always said that what is real resonates. If a story is told well, it will make an impact in several genres. That is what I love about stories—they can transcend differences whether in music or in life. There are so many poignant, powerful moments in Letters from War, such as when Beth tells Britt that life doesn’t always work out like it’s portrayed in the movies. What is your favorite scene in the novel? Well, there are moments that are taken straight out of my great-grandmother’s diary, and to me, those are the moments that make me the proudest. Also, the letter from the father to the son always makes me cry. In the book you write: “Every soldier has a mom. And every mom can’t help but worry and wonder. Mothers march with their children in battle. They are there in spirit.” Why did you decide to have the song, and later the novel, feature the mother of a lost soldier rather than a father? Is Beth based on any one particular person? Do any of the other characters have specific real-life counterparts? Yes. “Letters from War” the song and then the novel are based off my own family. My great-grandfather passed away from a heart attack before his sons went off to war, so that is why I focus on the letters from my great-grandmother to her sons. It was so moving to read the actual letters and see how much they looked up to and loved their father in those letters. Beth draws on her belief in God for strength in dealing with James’s disappearance. In what ways does Beth’s faith reflect your own? I certainly see Beth as a spiritually strong, and she is very real and honest with herself and with God. She struggles with this tragedy in her life that puts her faith to the test. I have never dealt with anything quite like that, but it is inspiring to me because I have had to learn in life to submit to God’s will over my own. In Beth’s case, she is learning to trust in God’s will, whether that means she ever sees her son again or not. As a successful musician you’ve had the opportunity to meet people from all walks of life. What were some of your memorable encounters with men and women serving in the military? I performed one Sunday morning at the chapel of Lackland Air Force Base in San Antonio, Texas. They play the video of “Letters from War” every Sunday morning for the airmen. They all stand, put their arms around each other, rock from side to side, and sing the song at the top of their lungs. There is not a dry eye in the back of the room from the parents who are in attendance. Later I performed the song for more than 5,000 airmen, and they sang so loud I just stopped singing and played the piano. Hearing the thundering echo of those voices throughout the church is something I will never forget. What would you most like readers to take away from Letters from War? I hope it brings awareness and a thankfulness for those men and women who serve in the military and the families that they leave behind. I also hope that Beth’s faith will inspire readers. Now that you have one novel under your belt, do you plan to write any more books? My songs do lend themselves to being novels in that they are story songs. It has been fun to see how much more a song’s story comes alive when you have more time to develop the characters and the plot. I love giving people a deeper experience of these songs. Mark Schultz is a Dove Award-winning artist and has become one of Christian music’s most acclaimed singer/songwriters. He received BMI’s Christian Song of the Year in 2003 for “Back in His Arms Again.” He’s also earned the top spot on Billboard magazine’s Christian Adult Contemporary Songwriter list.